Who is The Babbling Lotus? 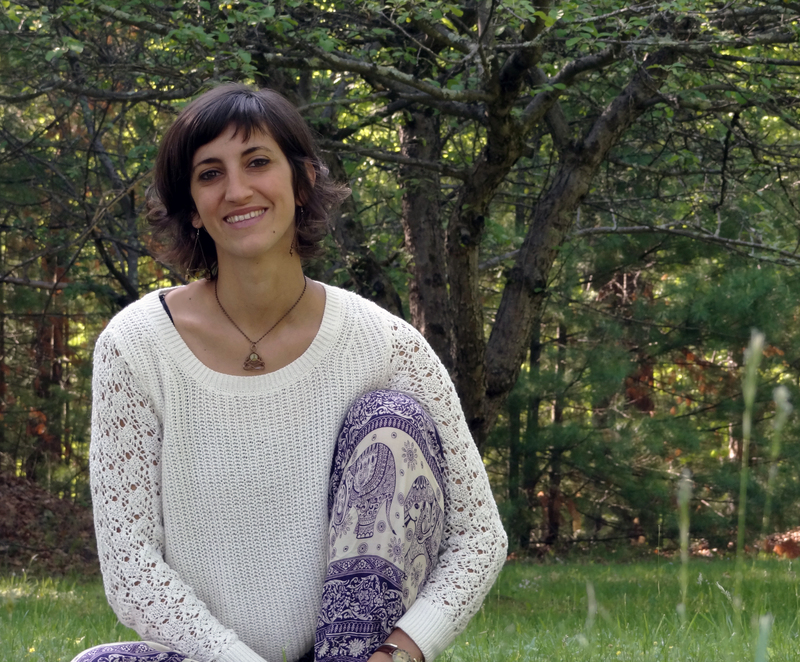 The Babbling Lotus was started as an outlet for me, Jacqui Potente Nash, a new mom, a yoga instructor, entrepreneur, foody, and much more. While I am a constant student of all these professions and interests, I do have some insight to share and hopefully to inspire those reading to leave a comment, start their own blog, or, hey, even to take a yoga class with me, in person or virtually. My interest in yoga, which grew rapidly into a passion, began in 1999, and in 2010 I became a certified instructor. Shortly after, in 2011, I opened a yoga studio with a business partner in Upstate New York, and with this business venture, I have been fortunate to have an occupation that feeds that constant hunger for learning more about the practice on and, most importantly, off the mat. My weekly classes range from beginners to advanced and from prenatal to postnatal yoga. With this varying student base, it is unbelievably fulfilling to help people learn about themselves at different stages of their lives and their yoga practice, and I learn as much from my students as I hope they learn from me. I’ve been a parent since May 2013. As parents, I think it’s safe to say that we are learning new things about parenthood, our children, and even ourselves every day. Actually, moment by moment. And on some days, both those exhaustively challenging and extremely rewarding moments bring new lessons to light, sometimes encouraging us to seek support and guidance or comrodery from our friends, our own parents, and, honestly, who hasn’t googled the specific situation he/she was experiencing? I hope you find things here that might be that online support that you need in the moment. My relationship with food has been a lifetime love affair, beginning with the potato, most specifically french fries, since I was about 3 years old. That French Fry/Jacqui relationship was exclusive until I was about 12, when I decided there was room in my life for more than just the deep fried carbohydrate. That desire for high quality food has encouraged me to search high and low for spectacular recipes that I am sharing here. Great food should not be kept a secret. And I’m sorry, Meat Lovers, this yogi will only be sharing vegetarian and vegan recipes, but I guarantee they will not be lacking. The Babbling Lotus. First, why babbling? Well, I’ve never claimed to be a writer…let alone a GOOD writer. In fact, I had an employer who told me time and again that writing wasn’t my “strongest attribute,” which has stayed with me since I left the job. But my thoughts here will tend to be about anything. Yoga, life & parenthood, which, to me, pretty much means everything is fair game here. I like the term babbling because I’m hoping that it will protect me from the scrutiny of my two English teacher parents (that’s TWO, yes, both of my parents were English teachers). So, Mom, Dad…if you find grammatical errors, I’m just babbling here, so really, it’s not a grammatical error. The term “babbling” is also reminiscent of chitta vritti, which in yogi speak, is “mind chatter.” Through our yoga practice, we are trying to quiet, or at least control, the constant babbling of our mind. The very second aphorism of Patanjali’s Yoga Sutras states, “Yoga is the control of thought-waves in the mind.” Aka, the chitta vritti. So with this site, I’m continuing my yoga practice, which, I believe, is truly part of everything we do. So please allow me to flush out AND flesh out personal chitta vritti by babbling on here. And then there is the lotus. Some of you may know the symbolism of the lotus, the beautiful flower that emerges and gains nourishment from the cloudy, muddy waters below. Has there ever been a more obvious metaphor? But we relate to the accessible, and this metaphor is exactly that. The ancient yogis believed that there was spiritual center called “the lotus of the heart” located between the abdomen and the chest, and this lotus contained a light that shone brighter with meditation and concentration. I like to envision that light growing as the lotus opens and becomes clearer and as we take away the obstacles that blur the true connection with ourselves. 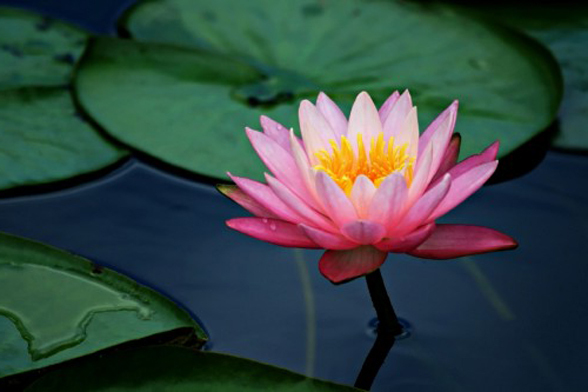 I’ve always related to the lotus analogy to life and spirituality. So much, in fact, I have a bad tattoo of a lotus on my ankle that can often be mistaken for an artichoke. Lucky for me, artichokes are one of my favorite foods, so I’m happy with either interpretation of the artwork. But it’s so true that we learn from the most trying moments of our lives, creating that stronger identity and, hopefully, we can turn any negative energy into something positive that adds to our inner beauty. And maybe this babbling about the day to day can buff out the blemishes on that inner light, letting the brightness of lotus shine out. So here I am. Trying to quiet my mind and connect with my spiritual center. And here you are. Surfing the endless waves of many who are attempting the same thing as I, and perhaps I’m so lucky that you’ve stumbled upon my site. But I hope you find some humor, some practical knowledge, some encouraging thoughts, and even some refutable claims (I don’t expect to be the I Ching on anything, so put me in my place whenever suitable, please.). Maybe you’ll grab a delicious recipe, try out a fun yoga asana, hey, even take a yoga class! Let me just say here that I’m grateful that you’ve put my address in your browser, and I hope you find something useful. I am very much looking forward to reading your babbling. So wonderful. congrats. You’re an inspiration to yogi moms everywhere! Aw, thanks, Sara. You do a pretty good job yourself, too, my dear! Thanks for reading!